Blend 45 Kapeng Pinoy tells another heartwarming story in its latest TVC that depicts one of the many positive traits of Filipinos— our compassionate nature. In “Mapagmalasakit” directed by Henry Frejas, a young man went out of his way to return a box that was left behind by a stranger. His admirable trait did not go unappreciated as he was offered a warm cup of Blend 45 Kapeng Pinoy Kondensada by the grateful owners of the box. 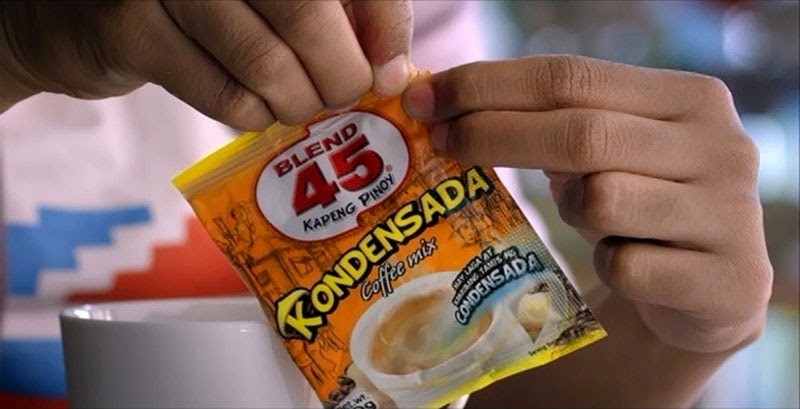 The TVC also introduces Blend 45 Kondensada – the newest variant of the Kapeng Pinoy line with real condensed milk powder that gives the coffee a special creaminess and sweetness. The 30-second clip advocates Blend 45’s “Gising Pinoy” campaign which aims to awaken what is innately good in Filipinos. With the tagline “Ginigising ang masarap at mapagmalasakit sa Pinoy”, Blend 45 inspires Filipinos to perform genuine acts of kindness, whether they are as grand as the young man’s act of honesty, or as simple as sharing a cup of coffee. I have tasted the other flavor of blend 45, aside from this condensada.. This TVC is also good, it shows initiative to do something for other..